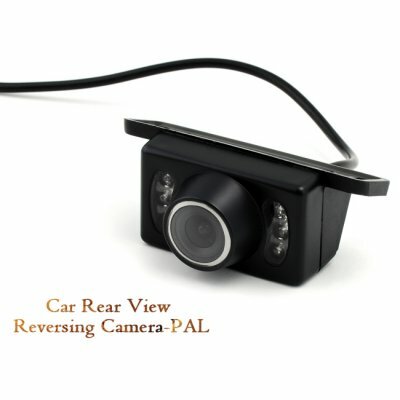 Successfully Added Car Rear View Reversing Camera-PAL to your Shopping Cart. Car Rear View Reversing Camera -PAL. A great tool for reversing into parking spaces. This reversing camera allows to you to reverse into any parking space with the benefit of 120 degrees of angular vision. Great item for practicing parking maneuvers or learning the basics. Simply plug the cables into your Car DVD or GPS AV IN and view what's behind you like never before. The units 6 IR white LED's provide illumination for dark areas, so your driving is more safe both during the day and at night! This product will be shipped from separate warehouse by express courier or standard air mail according to your checkout choices; actual courier company may vary from main order products due to different warehouse origin. Please confirm with customer support if you received part of the order and are still waiting for the other..
Good camera, got very good image. No parking lines (some people may say this is bad, but i don't think so). Very pleased with the results from this camera. The camera is well finished and the image is correct. La camara esta bien acabada y la imagen es correcta.